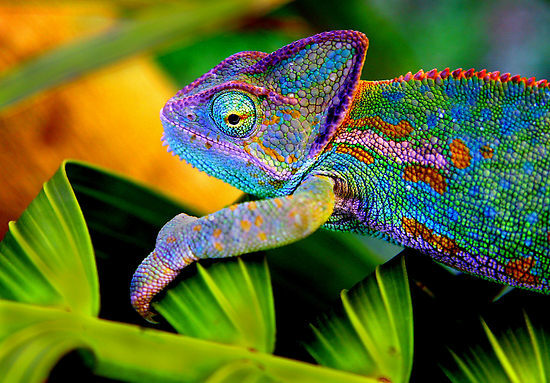 Chameleons with their perfectly spiky body, protruding and revolving eyes, firm grip taken on branches with feet as well as tail and the wonderful color-changing ability make amazing creatures. However, they may not be the best as pets, at least not for beginners. Their requirements are quite specific and they are stressed easily. They don’t like to be held and handled. So, if you wish to be able to handle reptile, let this creature pass by! 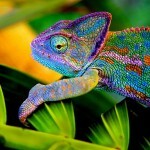 However, if you really wish to have chameleon as your pet, you need to consider some basic points about chameleon care. Let’s learn them. 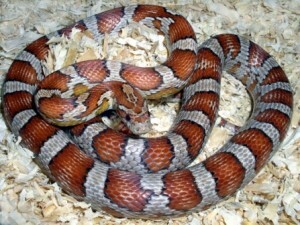 Usually the pet animals we see around are dogs, cats, colorful fish in an aquarium and birds in cages. By and large people know about these creatures enough to get a bit over-acquainted with them and so, have no curiosity for them. 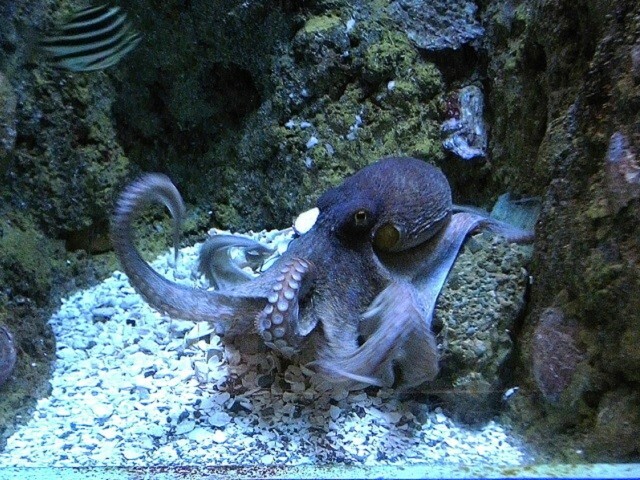 However, if I say that would you like to see an octopus as a pet, you would certainly listen attentively. Some of you may say, what is the use of keeping an octopus, which has no face, which will express no emotions like cats and dogs, won’t sing or talk sweetly like birds or won’t flaunt its colors to please our eyes like fish? 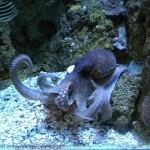 If those are your conceptions about an octopus, you are wrong! Octopuses on the other hand are surprisingly intelligent, display intriguing behavior and have incredible shapes and color-changing abilities. 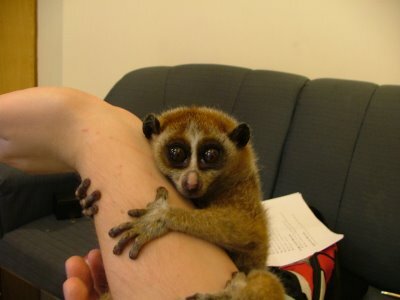 Should Lorises Be Kept As Pets? Recently, two transit passengers were arrested at India’s Indira Gandhi International Airport because both of them were carrying a tiny big-eyed loris in their underwear. A marsupial pouch stitched inside a man’s underwear is definitely the worst possible place for a loris to nestle, both from the animal’s point of view and the carrying human’s point of view. So why were the men taking so much pains to make the animals cross international borders? Probably because the animal is immensely valued as a pet. 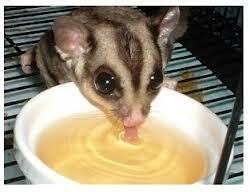 The joint family system has broken down even in most third world countries where it has lasted longer than in western countries, but one animal that is still safeguarding the system fiercely is the sugar glider whose nests may contain even up to eight adults and a brood of young ones. They are highly possessive of their territory which they mark by an odorous glandular secretion, and if outsiders who smell differently enter the nest, they are expelled by the males of the group. 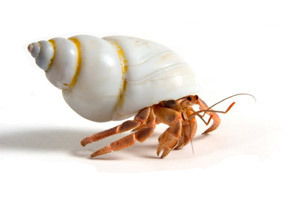 Hermit crabs are hardly hermit-like in their behavior because they love company. They are called so because of their tendency to hide in the shells that they carry with them as a protective shield, but other than that they have no characteristics of hermits. In their natural habitat they live together in colonies that may contain more than a hundred of them. When you buy them as pets, the sellers often suggest that you should buy more than one.